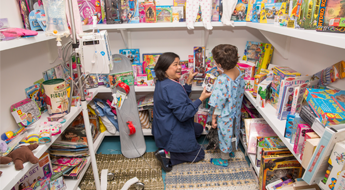 Help us stock David’s Treasure Chest toy closet by making a monetary gift or donate new and unused toys. Please include message and signature. Press Submit Gift only once. You will see this charge appear on your credit card statement as Stamford Hospital or BLK Nonprofit (out of CA). By making your gift, you will receive periodic updates and communications from Stamford Hospital Foundation. You may unsubscribe at any time. Your online donation is secure. You will see this charge appear on your credit card statement as Stamford Hospital or BLK Nonprofit (out of CA).